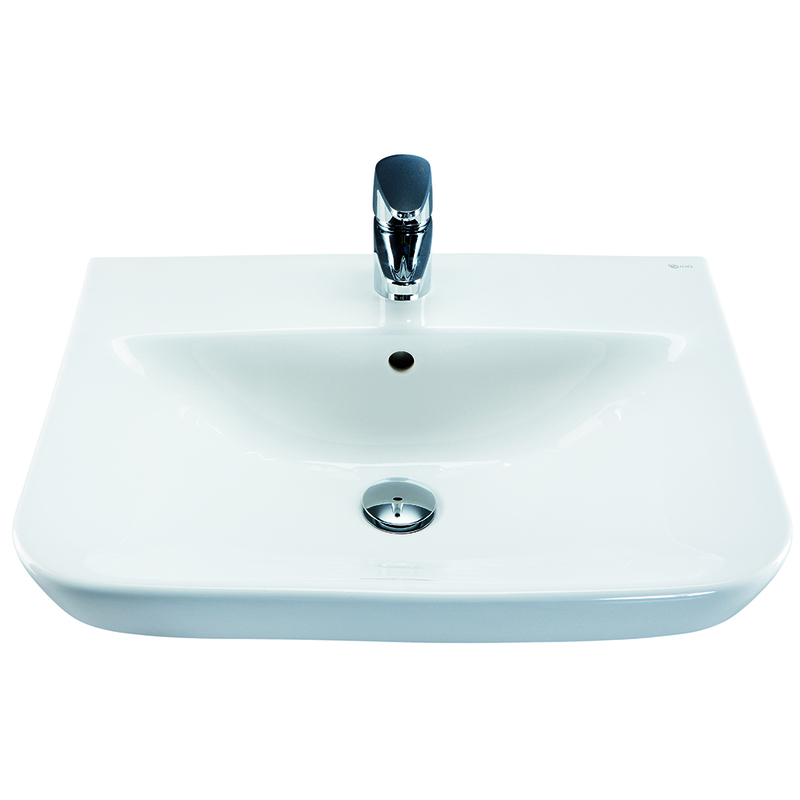 Washbasin with collar. Bracket fastening, brackets 61016 or 61098 to be ordered separately. Suitable for use with an IDO Seven D base cabinet 97910 or pedestal 51012.